The time is now to start decorating for the holidays, especially if you’re planning holiday parties at your home! If you’re overwhelmed with where to start, your fireplace is the focal point of the room and the perfect place to get started. 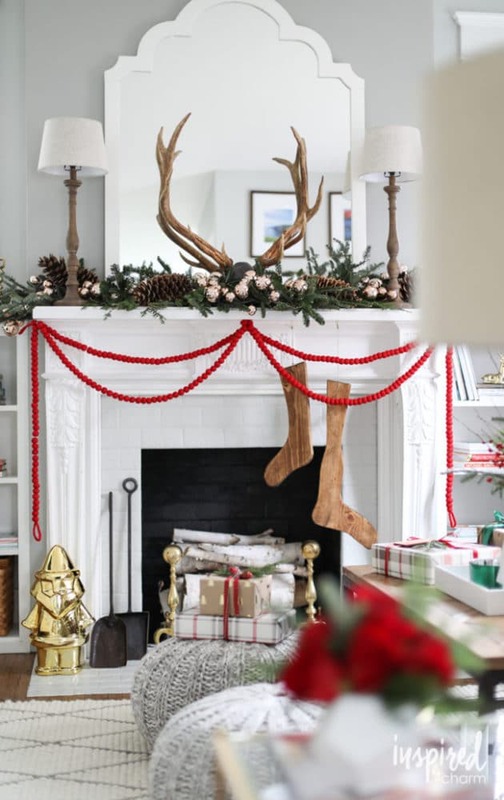 Here are 15 Totally Pin-Worthy Holiday Fireplace Mantel Ideas that will make your friends and family jealous! 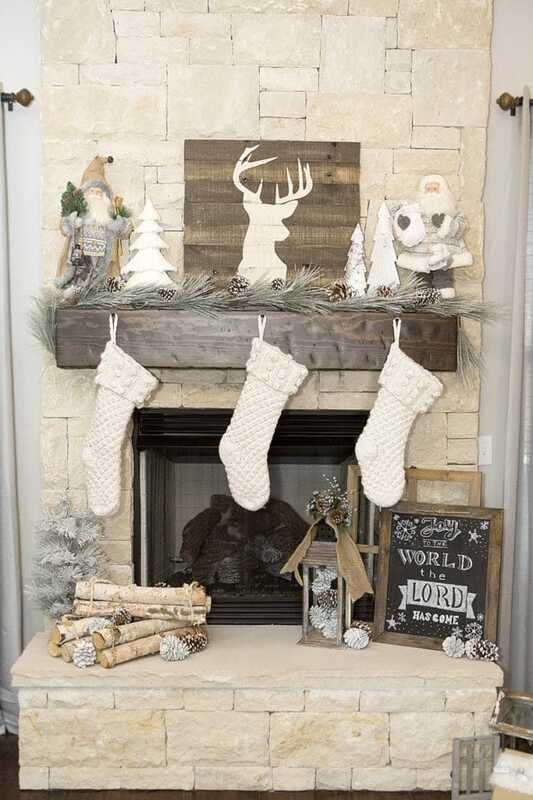 We adore this Rustic Christmas Fireplace Mantel with wooden reindeer sign and white, brown and silver accents. A wood background, wreath, trees and red ornaments make this Rustic Plaid Holiday Fireplace Mantel simple and festive for the holidays! 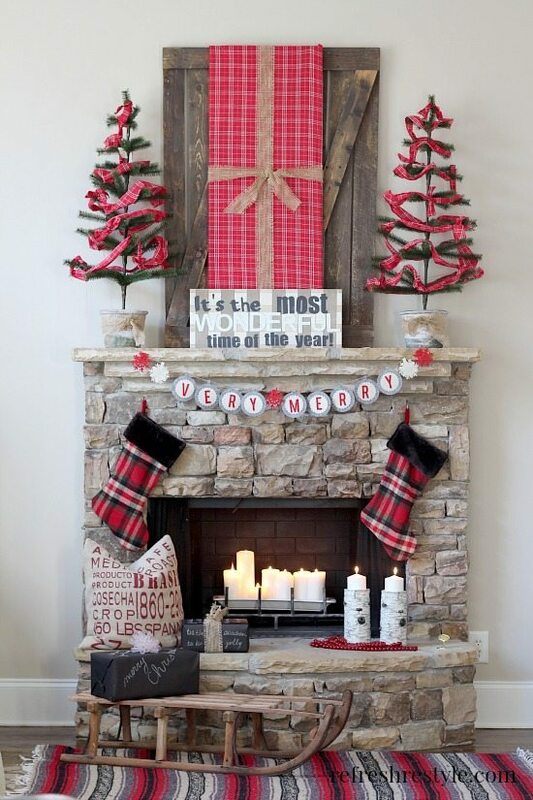 This Pretty Plaid Christmas Mantel is super fun and festive. 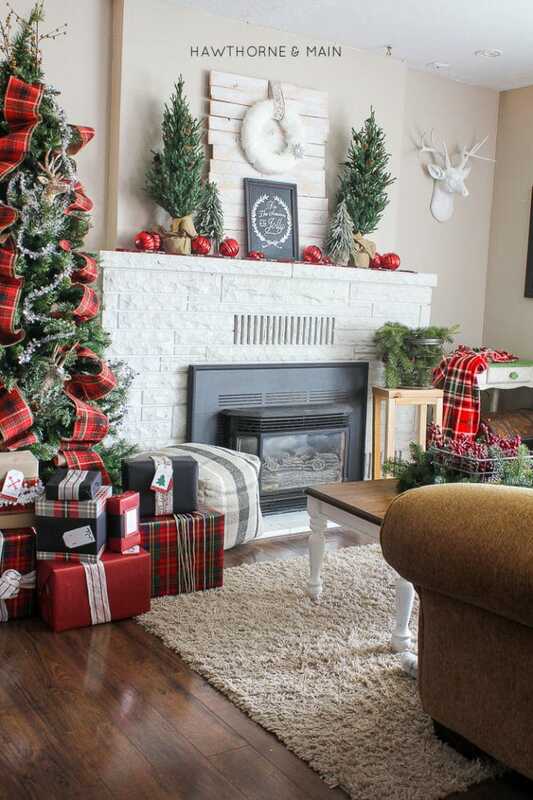 Again, we see the wood as a focal point surrounded by festive plaids. 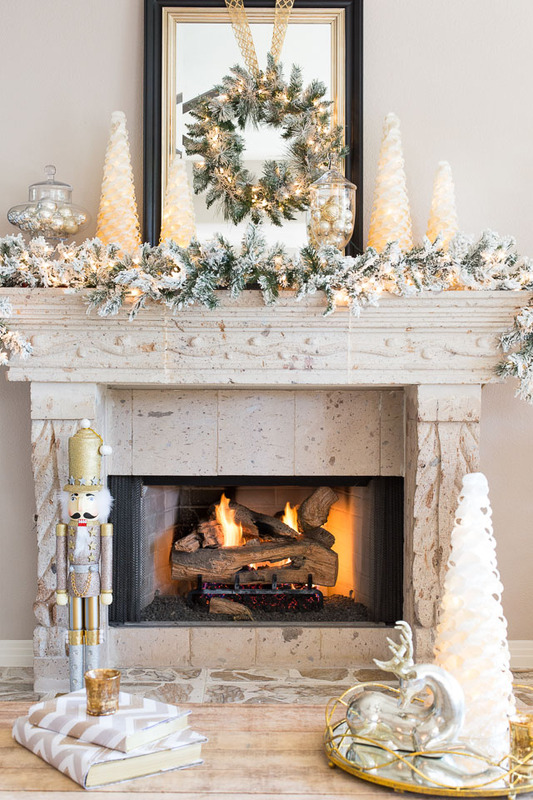 This Elegant Gold and Silver Holiday Fireplace Decor is so chic! 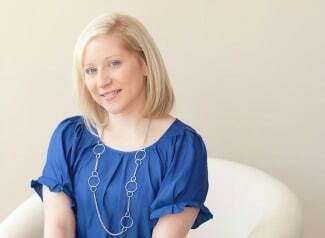 We love how the white and gold really stand out in the room! 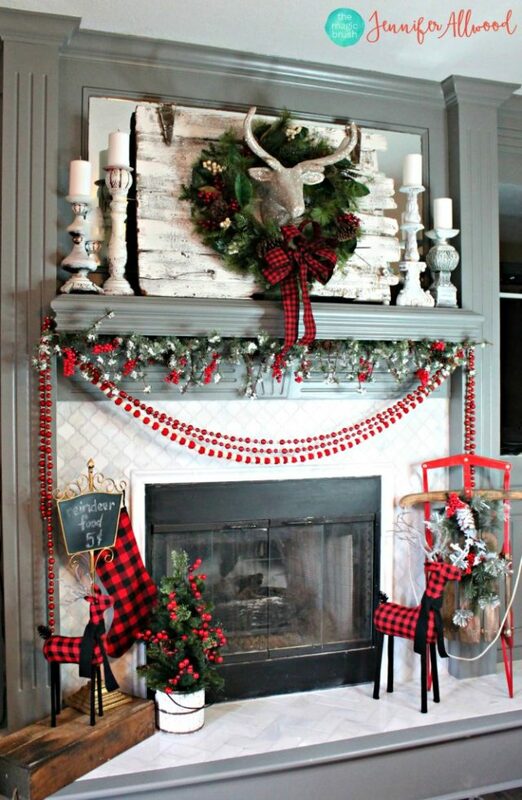 This Buffalo Check Christmas Fireplace Mantel is oh so perfect for the Christmas season! 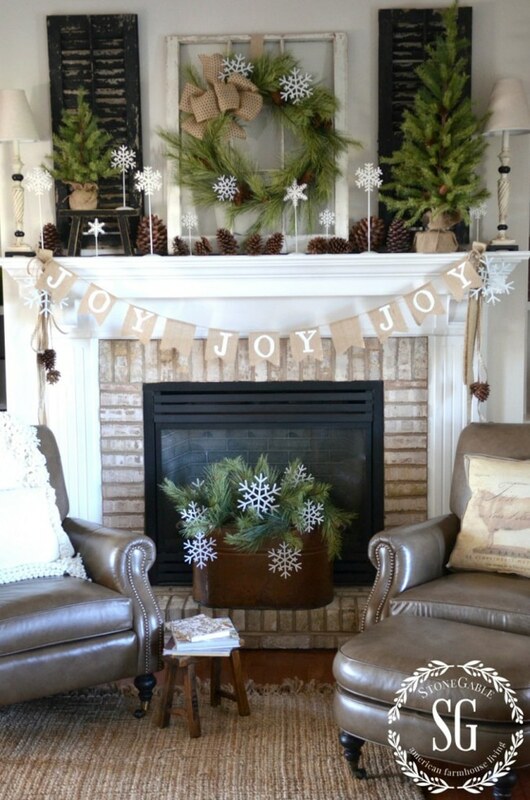 This Christmas Mantel With Greenery and Let It Snow Signs is a simple way to decorate your mantel. Add some red stockings and it’s holiday festive! 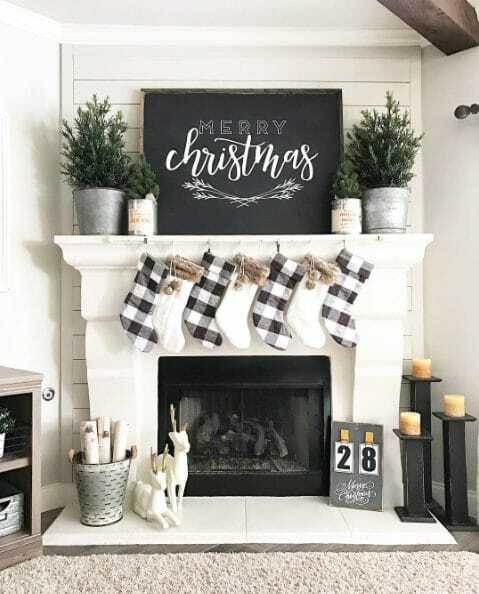 How fab is this farmhouse chic Black and White Holiday Fireplace Mantel?! 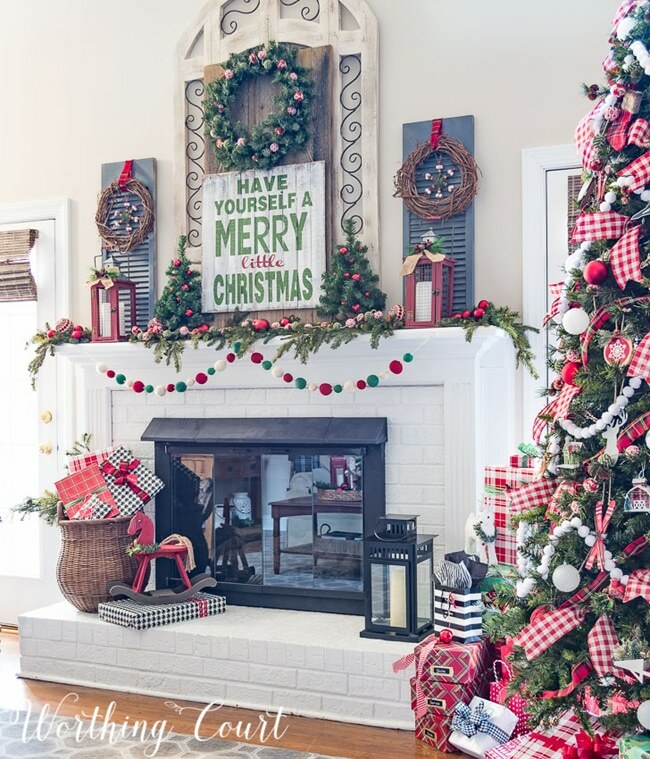 How great is this Farmhouse Christmas Mantel with red, white and green holiday decor?! Plus that sign is a must-have! 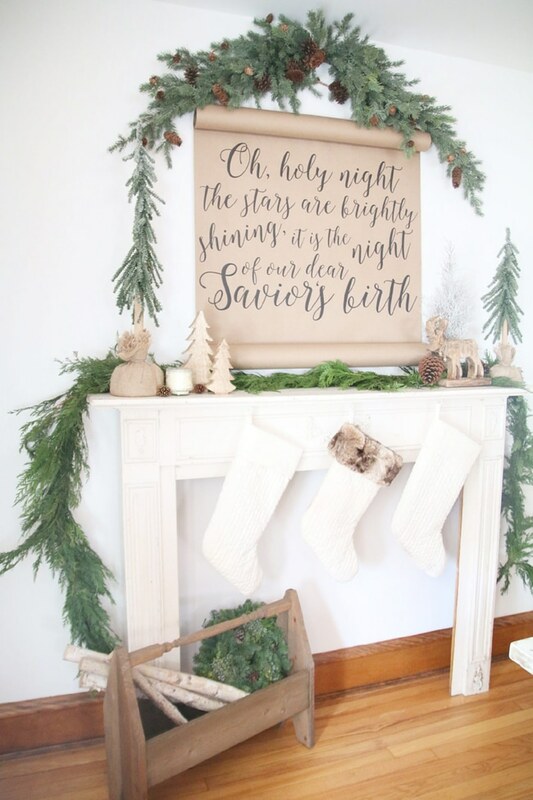 This Rustic Scroll Christmas Mantel really makes a statement! with the Oh Holy Night Scroll surrounded by greenery! We love the blue and silver accents in this French-Inspired Christmas Mantel. 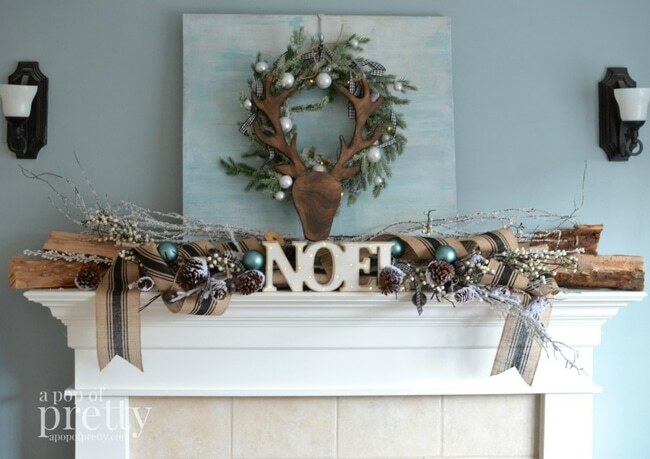 A window frame, some holiday garland and wood reindeer make this Rustic Christmas Fireplace Mantel perfect for a rustic-inspired Christmas! We adore the distressed window and shutters in this Country Farmhouse Holiday Mantel. 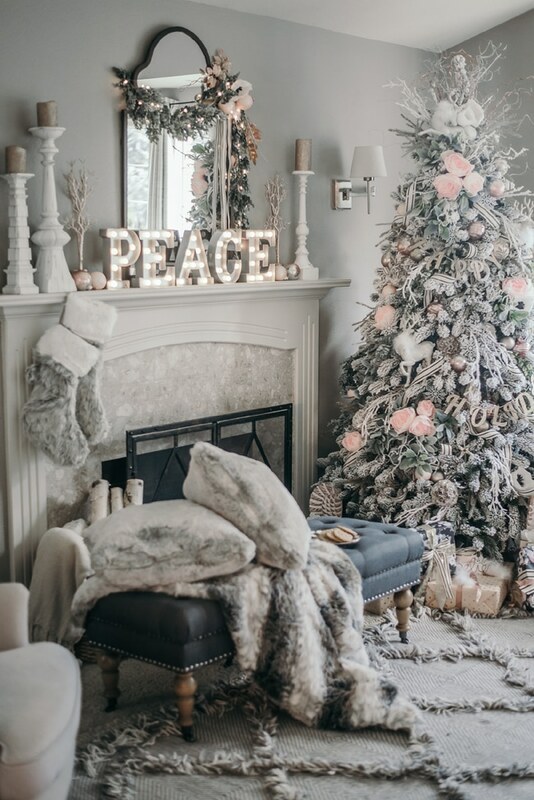 This stunning Pink and White Christmas Fireplace Mantel Decor is one of our favorites! LOVE! 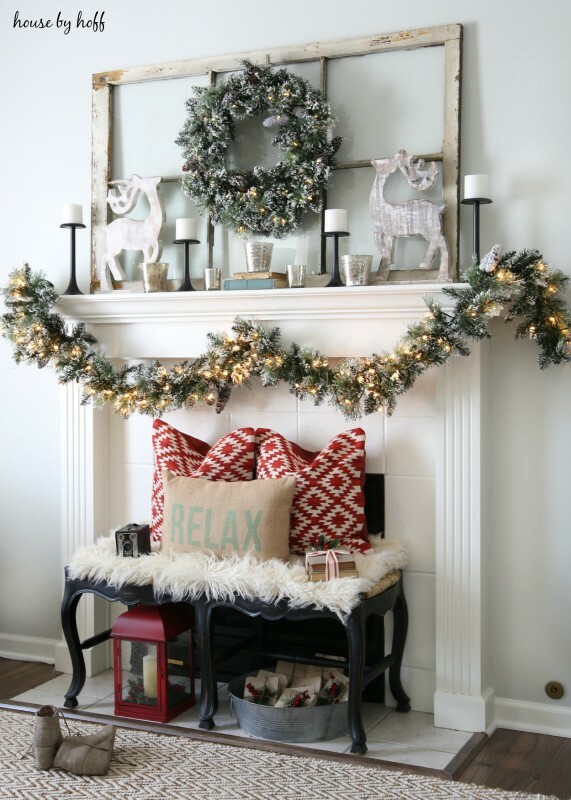 This lovely Modern Holiday Christmas Mantel is great inspiration for your holiday home! 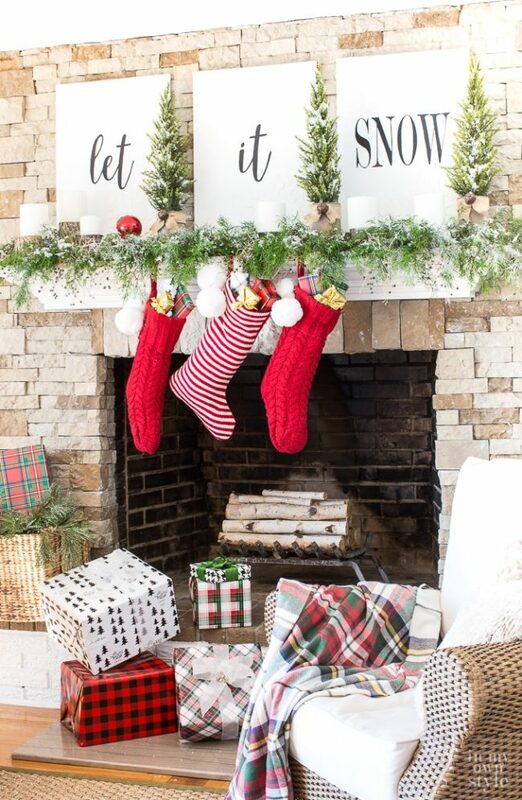 How cute is this Whimsical Christmas Fireplace Decor?! 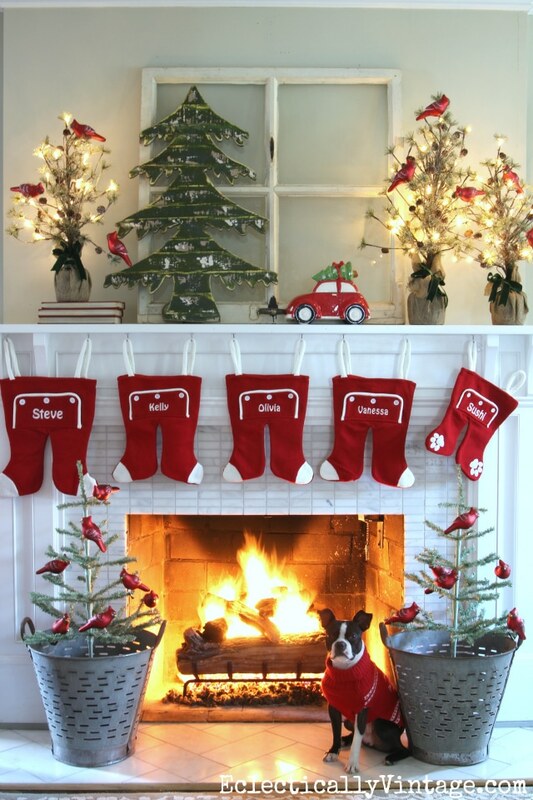 Which of these 15 Totally Pin-Worthy Holiday Fireplace Mantel Ideas are your favorite? Let us know in the comments below!